4/27/2010 - Clearwater, FL - Jeff Berlin is a legend of the electric bass, considered by many to be the finest electric bass player in the world. A true master of the bass, Jeff Berlin has played with the likes of Bill Bruford, George Benson, Allan Holdsworth, and even toured with original members of Yes (Anderson, Wakeman, Bruford, Howe) on only three days' notice. Much to the anticipation of his fans, Jeff is releasing a new jazz trio CD on his own MAJ Records label titled 'High Standards'. Along with Berlin on electric bass, the CD also features Woody Herman alumni Richard Drexler on piano and upright bass, and famed drummer Danny Gottlieb (best known for his work with Pat Metheny). "It is a standard jazz piano trio led by a former rock bass player playing jazz tunes, and soloing nothing like bass players usually solo," says Jeff. "Keith Jarrett is huge influence on me. I transcribed his solos and practiced them on bass. I wanted to try my hand at recording tunes that I have played for many years, which inspired me to record three guys in a room and let the session remain as they eventually turned out." Jeff Berlin's resume reads like the who's who of the higher echelon of music artists. Jeff Berlin was even asked to join Van Halen, an invitation that he actually turned down. "Eddie Van Halen was a fan of the band that I played in with Bill Bruford," Berlin recalls. "We met and started to hang out and jam together. He was a sweet terrific guy. One day he saw me play a gig with my group and then asked me if I would like to join Van Halen. After this, we rehearsed at David Lee Roth's house a couple of times. Ultimately, I said no to his gracious offer because when you join a band, you join the entirety of it, the life philosophy of its members and also the habits that they may be involved with. I felt that, in terms of activities and attitudes, I didn't mesh with their vision of things. I didn't wish to be mercenary and just take the job for money because it wouldn’t be fair to the band members. So, I just said no to the offer." Not only is Jeff Berlin a bass phenomenon in the jazz field, but rock players are constantly referring to him as one of their major influences. Jeff was voted Number 1 Jazz Bassist by the readers of Guitar Player Magazine. Carlos Santana called Jeff the "best bassist in the world", while Rush's Geddy Lee used the phrase "best bassist on the planet!" Members of Metallica call Jeff the number one bassist on Earth, and Slash considers him a "bass god". Actor/bass player Gary Sinise, of "Forrest Gump" and "CSI NY" fame called Jeff’s playing "unreal!" Even the late George Carlin was knocked out with Jeff's playing calling him a "great musician." Jeff is known as a major innovator through his incisive playing through recordings and performances for the last thirty years. The late legend of bass, Jaco Pastorius regarded Jeff as a better soloist than he was, and Miles Davis' bassist/producer Marcus Miller told people that he wanted to be the "Black Jeff Berlin". Jeff has released six highly acclaimed solo records, Champion, Pump It!, Taking Notes, In Harmony's Way, Lumpy Jazz and Aneurythms. The Dean Guitar company builds a Jeff Berlin signature model electric bass, and Markbass amplifers built an amp that so impressed Jeff (who regularly turned down endorsement offers for years) that Jeff only plays through their amps in concert. In support of his new CD release, Jeff will be touring with his band that has featured Danny Gottlieb, Othello Molineaux (the greatest steel drummer in the world), Randy Brecker and Richard Drexler. He also tours with BX3, a bass conglomeration that includes the great bass players Stuart Hamm and Billy Sheehan. "Because instrumental music isn't popular anymore, not like it used to be, the amount of people interested in hearing players play simply to enjoy the music is less than it was in the past," Jeff explains. "This is an era where you will never hear another Jimi Hendrix, because, in a great part, the music industry won't allow it. This contempory music era is not interested in allowing a great player be hear or promoted. For this reason I jokingly refer about my shows that when I play, 'The Audient will always be on his foot!' and also regarding my CD, if Michael Jackson's CD's always went "Platinum", my CD will surely go "Spackle!" Jeff Berlin's playing continues to influence a new generation of bass players. His teaching continues to inspire and advance players wishing to know about the language of their art. Jeff Berlin is a Master. 'High Standards' is available on CD Baby, Amazon, iTunes and other online retailers. For more information visit Jeff Berlin's official website at http://www.jeffberlinmusic.com. Guitar Workshop Plus…Bass, Drums, Keyboards, and Vocals announce an incredible artist line-up for the 2009 summer program and continue to provide the ultimate experience in music education. Toronto (Session 1) July 19-24, 2009. Toronto (Session 2) July 26-31, 2009. Vancouver Session August 9-14, 2009. So far, some of this year’s incredible guest artists will include rock legend Paul Gilbert (solo, Mr. Big, Racer X), blues great Duke Robillard (solo, Fabulous Thunderbirds, Roomful of Blues), bass master Stuart Hamm (Joe Satriani, Steve Vai, solo), Hall of Fame inductee Rik Emmett (Triumph, solo), multi-stylist Andy Timmons, rock virtuoso Greg Howe, acoustic guru Don Ross, drummer Mark Kelso, and guitar designer Robert Godin!! By directing instruction to the student’s personal style, level of experience, and musical goals, the program creates a healthy, non-competitive environment in which to learn. Furthermore, in addition to an outstanding faculty roster, the list of artists who have worked and continue to work with the administration is truly astounding. Joe Satriani, Alex Lifeson (Rush), Robben Ford, Rik Emmett, Randy Bachman, Andy Summers (The Police), John Scofield, Billy Sheehan, Pierre Bensusan, John Abercrombie, Jennifer Batten, Sue Foley, Lorne Lofsky, John Knowles, John Jorgenson, Paul DeLong, and Orin Isaacs are just a few of the world class artists on this list. Courses are offered for all levels (Beginner to Advanced), ages (12 through Adult), and styles including blues, jazz, rock, acoustic, and classical. The intensive bass, drum, keyboard, and vocal courses cover many styles and afford students with many rhythm section and ensemble performance opportunities. Each day consists of morning and afternoon classes that involve a hands-on approach, late afternoon clinics (songwriting, improvisation, vocal, etc. ), ensemble performances, and evening concerts. Both Toronto sessions will once again be held at Appleby College in Oakville just west of Toronto. This location has undergone extensive renovations and will be providing outstanding facilities including new classrooms, new dorm rooms, and a new dining hall. The grounds, as always, remain immaculate and picturesque overlooking the lake. The Vancouver session will take place at Quest University, which is located just north of Vancouver in Squamish, BC. Quest is a brand new university located along the Pacific Ocean offering breathtaking views of the mountains and ocean. The facilities and accommodations are pristine and provide fantastic accommodations, modern classrooms, performance space, and exceptional dining facilities. Resident and non-resident tuitions are available and registration has already begun for the 2009 sessions. Litchfield, CT—Februrary 17, 2009 – The National Guitar Workshop is excited to announce the curriculum and guest artists for the 2009 season. This year’s program will feature Paul Gilbert, Buddy Guy, Pat Metheny, Jimmy Herring, Oteil Burbridge, Pat Martino, Robben Ford, David Wilcox, Robert Lee Castleman, Brent Mason, Stu Hamm, Peppino D”Agostino, Ed Gerhard, Andrew York and John 5. Courses will be offered in rock, blues, jazz, country, classical, music technology, songwriting, and guitar exploration. Download our 2009 brochure at www.guitarworkshop.com for more information. In association with Performing Songwriter Magazine, NGW is proud to present the Songwriting Summit featuring David Wilcox and Robert Lee Castleman. In addition, the workshop is offering a seminar on Country Guitar featuring Brent Mason, and a special Modern Acoustic seminar with Ed Gerhard and Peppino D’Agostino. Events are happening across the country for rock players. The New York campus will hold two Rock Summits featuring Paul Gilbert and very special guest to be announced, while the LA Rock Summit will include a clinic by world renowned shred virtuoso John-5. Also at our LA Rock Summit we are happy to announce that bassist Stu Hamm will be an Artist in Residence during the summit. The Jam Summit, taking place at our New York campus will feature both Jimmy Herring (Widespread Panic) and Oteil Burbridge (Allman Brothers Band) giving a special clinic on improvisation and presenting their unique take on the Jam scene. Taking place in Austin, Chicago, and Connecticut are three Blues Summits, which will include appearances by some of the most influential bluest guitarists in the world. NGW is pleased to have Buddy Guy making a rare clinic appearance in Chicago. Jimmie Vaughan will be giving a clinic on his unique style in Austin, and the New York campus will feature the legendary blues guitarist Robben Ford. The National Guitar Workshop is very excited to present The Pat Metheny at the Jazz Summit in New York. This will be a rare chance to be a part of an intimate workshop with one of the most respected jazz guitarists in history. A great addition to the McLean, VA campus will be the appearance of one of the fathers of modern jazz guitar, Pat Martino, who will be a featured guest in the Giants of Jazz guitar seminar. Our curriculum has also expanded to also include classes on Pro Tools, Abelton Live, and developing a Home Studio. These music technology classes are powered by Apple®. My review of the upcoming Joe Satriani - Surfing With The Alien: Legacy Edition CD/DVD has been posted at Modern Guitars Magazine. When Joe Satriani's Surfing With The Alien album was originally released in 1987, it became the first instrumental rock guitar album to crack the Billboard Top 200 Album Chart. 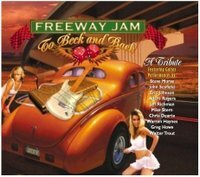 Now Epic/Legacy Recordings is re-releasing this groundbreaking album in a special 20th anniversary edition CD/DVD set. Included in this reissue are a newly remastered version of the original album, plus a DVD of Satriani's 1988 Montreux Jazz Festival performance. Also included are new liner notes from Satriani himself, in which he describes how Surfing With The Alien was made, and his inspiration and writing process for each song. This is a nice touch that should inspire many Satriani fans to pick up the new version even if they already own the original. Surfing With The Alien wasn't the first instrumental rock guitar album by any means - but it was the first to bring the genre to a wider audience. After Surfing, there was a bumper-crop of similar albums released throughout the late '80s. "A rising tide lifts all boats" as they say, and that was certainly the case in those days for instrumental rock guitar artists. Ultimately, no one quite matched Satriani's wide-ranging appeal, but he opened the door for many players that may not have had the exposure they received otherwise. Though it seems to be coming around again today (albeit to a lesser extent), the genre lost much of its popularity once the grunge scene took hold in the early '90s. 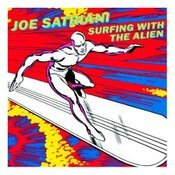 What's impressive about Surfing With The Alien is that Satriani was able to craft such a popular, genre-defining album with the limited resources he had. The drum machine usage is sometimes obvious, and the lead tones are a bit harsh at times, but the slick writing and shear guitar bravado on this album catapulted Satriani's career. Though "Satch Boogie", "Always With Me, Always With You", and the title track were the most popular songs from Surfing With The Alien when it was first released (as evidenced by their rather consistent airplay on rock radio stations at the time), there are other, arguably better songs on this album that deserve attention. "Ice Nine", for example, has turned into a Satriani classic. The deep groove, cool clean tones, and strong solos (especially on the bluesy outro) really make this one of Satriani's best compositions. Another standout track is "Circles". This song starts out with a cool double-stop/chordal melody before abruptly shifting into high-energy rock territory. For his solo here, Satriani leaves nothing in the bag - blues licks, tapping, wild legato runs, crazy whammy bar dives, you name it. Then, just as quickly as it began, the drive-by of vintage late-'80s shred ends, and the mellow main melody returns. There are other great songs as well. "Crushing Day", and "Lords Of Karma" show off Satriani's knack for writing catchy songs that use a wide variety of guitar tones. His writing takes a more sophisticated turn on songs like "Echo", and the two-handed tapping piece "Midnight". Overall, the strong compositions and solid playing on Surfing With The Alien have stood the test of time. The DVD of Satriani's 1988 Montreux Jazz Festival show is a very cool addition to this package, and gives you a good idea of how he played (and looked) in those days. In the liner notes, Satriani tells the tale of a long, crazy travel day before this show. They arrived too late for a soundcheck, and it was 4 a.m. before Satriani and band mates Stu Hamm (bass) and Jonathan Mover (drums) finally hit the stage. The guys do look a little tired during this gig, but the performance doesn't seem to suffer much. After a few wrinkles in the opening song "Ice Nine", the band settles in and puts on a good show. If Surfing With The Alien were released today for the first time, would it be the chart-making platinum album it was back in the day? Probably not. A lot has changed in the music scene over the past 20 years; It's hard to imagine hearing "Satch Boogie" or "Always With Me, Always With You" on top 40 radio today, given the current musical climate. That said, Surfing With The Alien is one of the most important albums in its genre. Even if you already own this album, I would still recommend picking up the new re-released version. The remastered tracks sound great, and the live DVD and Satriani's new liner notes really sweeten the pot. Fans of the current instrumental/progressive/fusion guitar scene who have never heard this album should check it out as well. Not only for the historical perspective either; you'll want it for the same, simple reason it was so popular 20 years ago - great writing and great guitar playing. Recorded July 14, 1988 at the Montreux Jazz Festival. All songs are previously unreleased. All songs written and arranged by Joe Satriani except for S.T.U. Greg Howe to tour with Stu Hamm and Dennis Chambers? 12/13/05 UPDATE: There is a posting on Greg Howe's forums stating this tour will not come to pass due to scheduling conflicts. Booo!